Do you feel like your house is a mess? Is your closet more full of stuff than your clothes? Do you want to solve that problem? This issue is coming to you a little later than normal. I had to attend my daughter's pre-registration session for high school this morning. Thank you for being patient, we hope you enjoy this issue! With all of the page updates we have been doing we haven't had a chance to thank each of you who have taken the time out of your busy lives to email us to offer your feedback about our site via email, our blog, facebook page, message board, guestbook, etc. Thank you to each and every one of you... we hope you will continue to visit and offer your comments. I am looking for a pattern for a crocheted turtle that lies on the floor and is used to wipe spills. I think there is a washcloth sewn to the bottom, but it doesn't show...just looks like a crocheted turtle on the floor. I found a cached message on this board looking for the same thing, but could not see the replies. "Never underestimate the Power of God and His unique sense of humor. Anyone can count the seeds in an apple; but only God can count the apples in a seed." In the beginning God created the heavens and the earth. And the earth was formless and void, and darkness was over the surface of the deep; and the Spirit of God was moving over the surface of the waters. Then God said, "Let there be light"; and there was light. And God saw that the light was good; and God separated the light from the darkness. And God called the light day, and the darkness He called night. And there was evening and there was morning, one day. Then God said, "Let there be an expanse in the midst of the waters, and let it separate the waters from the waters." And God made the expanse, and separated the waters which were below the expanse from the waters which were above the expanse; and it was so. And God called the expanse heaven. And there was evening and there was morning, a second day. Then God said, "Let the waters below the heavens be gathered into one place, and let the dry land appear"; and it was so. And God called the dry land earth, and the gathering of the waters He called seas; and God saw that it was good. Then God said, "Let the earth sprout vegetation, plants yielding seed, and fruit trees bearing fruit aftrer their kind, with seed in them, on the earth"; and it was so. And the earth brought forth vegetation, plants yielding seed after their kind, and trees bearing fruit, with seed in them, after their kind; and God saw that it was good. And there was evening and there was morning, a third day. Then God said, "Let there be lights in the expanse of the heavens to separate the day from the night, and let them be for signs, and for seasons, and for days and years; and let them be for lights in the expanse of the heavens to give light on the earth"; and it was so. And God made the two great lights, the greater light to govern the day, and the lesser light to govern the night; He made the stars also. And God placed them in the expanse of the heavens to give light on the earth, and to govern the day and the night, and to separate the light from the darkness; and God saw that it was good. And there was evening and there was morning, the fourth day. Then God said, "Let the waters teem with swarms of living creatures, and let birds fly above the earth in the open expanse of the heavens." And God created the great sea monsters, and every living creature that moves, with which the waters swarmed after their kind, and every winged bird after its kind; and God saw it was good. And God blessed them, saying "Be fruitful and multiply, and fill the waters in the seas, and let birds multiply on the earth." And there was evening and there was morning, a fifth day. Then God said, "Let the earth bring forth living creatures after their kind; cattle and creeping things and beasts of the earth after their kind"; and it was so. And God made the beasts of the warth after their kind, and the cattle after their kind, and everything that creeps on the ground after its kind; and God saw that it was good. Then God said, "Let Us make man in Our image, according to Our likeness; and let them rule over the fish of the sea and over the birds of the sky and over the cattle and over all the earth, and over every creeping thing that creeps on the earth." And God created man in His own image, in the image of God He created him; male and female He created them. And God blessed them; and God said to them. "Be fruitful and multiply, and fill the earth, and subdue it; and rule over the fish of the sea and over the birds of the sky, and over every living thing that moves on the earth." Then God said, "Behold, I have given you every plant yielding seed that is on the surface of all the earth, and every tree which has fruit yielding seed; it shall be food for you; and to every beast of the earth and to every bird of the sky and to every thing that moves on the earth which has life, I have given every green plant for food"; and it was so. And God saw all that He had made, and behold, it was very good. And there was evening and there was morning, the sixth day. Thus the heavens and the earth were completed, and all their hosts. And by the seventh day God completed His work which He had done; an He rested on the seventh day from all His work which He had done. Then God blessed the seventh day and sanctified it, because in it He rested from all His work which God had created and made. This is the account of the heavens and the earth when they were created, in the day that the Lord God made earth and heaven. The heavens are telling of the glory of God; and their expanse is declaring the work of His hands. Day to day pours forth speech, and night ot night reveals knowledge. There is no speech, nor are there words; their voice is not heard. Why do you say, O Jacob, and assert, O Israel, "My way is hidden from the Lord, and the justice due me escapes the notice of my God"? Do you not know? Have you not heard? The Everlasting God, the Lord, the Creator of the ends of the earth does not become weary or tired. His understanding is inscrutable. He gives strength to the weary, and to him who lacks might He increases power. Though youths grow weary and tired, and vigorous young men stumble badly, yet those who wait for the Lord will gain new strength; they will mount up with wings like eagles, they will run and not get tired, they will walk and not become weary. GOD HAS PAINTED HIS CHARACTER ." beast of the field which the Lord God had made? This means you need to mark the indicated stitch. Use a short strand of a contrasting color yarn or a split ring marker... even a paper clip or latch pin will work. Just put either of these around the stitch you are indicated to mark and then continue with the pattern. The instructions should tell you when to reposition or remove the marker. I crocheted alot of my scrap yarn into granny squares of different sizes and then stored the squares and kept them clean by keeping them in a clear backpack. The backpack doesn't have to be clear but that helps when you begin to join squares because you can see what colors you have without having to pour them all out. 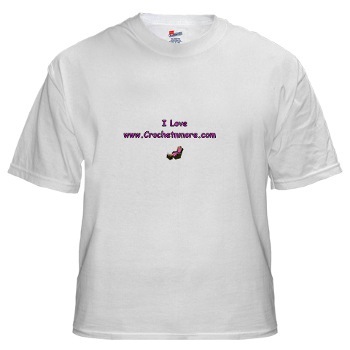 I really enjoy the website you have and am glad to see so many flocking to a Christian Crochet site. It truly is a blessed ministry. I just went through the most recent prayer requests and asked that God touch all and heal the physical, emotional, spiritual and all other types of healing God can and does provide when we pray and believe. I'll keep you and this site, all its prayer requests in my prayer time. Thank you! It looks good. I was worried the pic wouldn’t come out right as it’s kinda dark but it shows the sweater nice. I’m making them for friends as well and am on my fourth one…The pattern is easy to adjust to sizes. I do have to say that the small is VERY small tho. I made one up but haven’t found a friend’s dog small enough. Lucy is wearing a medium exactly to the pattern and I’ve made two between a small and medium and one a bit bigger than a medium. This is a GREAT site. When I decided to make Lucy a sweater because I was very disappointed in what I was finding in the stores I went searching and found your site. I was able to refresh myself on the stitches as it’s been well over 20 years since I crochet and it came right back and I’m loving it. I have about 3 hrs per day that I commute to/from work via public transportation and I’m filling my time crocheting. Thanks for all the great information on the site. know that you are using that time to be creative! I think I know what this means, but I want to clarify with an expert. If I am reading this correctly , I double crochet, chain 2 and then double crochet all in the 6 th chain? Then I skip 2 chains and repeat the dc, ch 2, dc across to the last 3 ch? I guess my question is I am dc, ch2, dc all in the same chain? Or stitch?then skip 2 chains and do it all again…. Work one double crochet, 2 chains and another double crochet all in the sixth chain from the hook. Double crochet, chain 2, double crochet all in the next chain. Repeat all instructions from the asterisk * across to the last 3 chains. Skip the next 2 chains and work one double crochet in the last chain. This part is questionable... the 12dc is normally a reference. If that’s the case here... you should have 12 double crochet stitches when this row is finished. Don’t forget that the beginning chain counts as a double crochet. The last part... “in end of row” leaves me wondering? >>If I am reading this correctly , I double crochet, chain 2 and then double crochet all in the >>6 th chain? Then I skip 2 chains and repeat the dc, ch 2, dc across to the last 3 ch? I guess >>my question is I am dc, ch2, dc all in the same chain? Or stitch?then skip 2 chains and do it >>all again…. Yes... anytime a set of instructions is in parentheses... all of the stitches in those instructions are to be worked in the indicated stitch or space following the instruction. I have worked this pattern and I end up with it getting wider than the bottom, the second row you do the same stitches. At the end of row 1 you chain 3 and turn and then start all over, just to clarify when I skip 2 chains then I am inserting my hook in the 3rd chain after skipping the 2nd one correct? This is a scarf pattern. Sounds like you’re making it correctly. in one chain or stitch. Let me know how it works up for you with the corrections. Hi Lisa, I finally finished the shawl I was making from your pattern. It turned out pretty nice I think. I wanted to send you a picture. Hi, I have a question, on the pattern. 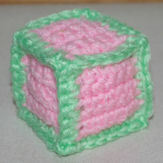 My name is Jessica and I have started my own crochet website where I sell things I have crocheted. I love your doggie sweater pattern and I know you have posted that the pattern can only be copied or printed for personal use. While I would never sell the pattern, I am wondering if you are opposed to me selling the doggie sweaters that I crochet from your pattern? Please let me know! Thank you! for offering to credit me for the design. Thank you sooooo much for clarifing the directions for me. The hat came out great. My first grandchild will be born beginning of April and I am very excited about making things for her. Yes, it's a Girl, Charlotte Rose. I'm new to crochet and wanted to make William's Baby Hat. Well there are these (dc2tog, dc3tog, sc3tog, beg cr st, cr st) instructions that I cannot decipher. Would you please tell me what they mean? (Can you tell I'm a newbie?? I was wondering if that is ok? If not I will take the link down. If it is ok may I link to your page on my blog too? I needed a last minute Baby gift. This pattern looked easy with a touch of love. 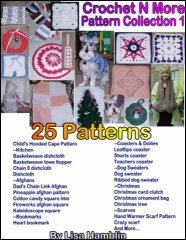 Thank you so much for posting this pattern. I hope you enjoyed the pattern. more links mean more people can access the patterns. RND 3: Sl st between posts of next 2 dc. Ch 3, (dc, ch 2, 2 dc) in same sp. a front post stitch it looks odd. Thanks in advance for your help. I'm sorry I didn't get my reply out to you by the 10th. I haven't been able to get through all of my mail "timely"
>> What does, "Sl st between posts of next 2 dc", mean? >> post stitch it looks odd. stitches. Not into or around the stitches. 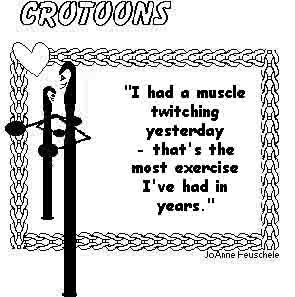 Think of two double crochets as being two fence posts... work between the posts. what does the term dcbp and dcfp, in crochet instructions, mean? I write those terms as bpdc and fpdc. 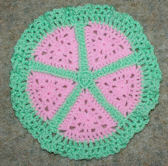 I DIDN'T EVEN KNOW WHAT THEY MEAN BY "POST"
Do you have a deal simple "GRANNY SQUARE" pattern for dish cloths? I have several but they are all real complicaed. and it was real simple but don't have the pattern anymore. 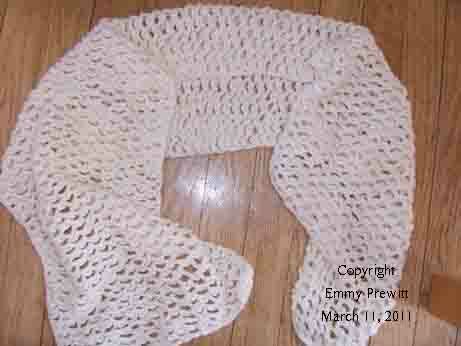 I show it for an afghan but you can use cotton yarn and make as many rounds as you need for a dishcloth size. 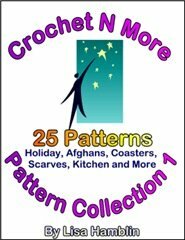 I just posted one of my original crochet patterns on my blog, and wondered if you might share the link. The pattern is free and easy. Thanks in advance! I know our viewers will enjoy what you have to offer! In case you didn’t know about the problem. used to relatives' and friends' comments. free, my male ego soared. nervously, "and you look just like my dad." comes back with three different bottles of pills. another big glass of water." stammers, "Geez doc, exactly what's my problem?" "This doesn't feel so bad." the way my wife would do it?" the husband asked. wife and said, "Honey, pick up that pen for me." frankincense and myrrh for the infant Jesus. wake get ready for breakfast. blue eyes on my face and said, "My, you're pretty! Have I asked you to marry me yet?" While driving in the car with my son, I had an "oldies"
with a broken leg when I was young." even get up to turn it off." Finally the customer behind me muttered, "Mr.
Hare must be on vacation." at the register. It read: "Mr. Turtle, sales associate." got just to see how much it's all worth." it, my wife would kill me!" been smiling at me and giving me the eye. that had been lovingly placed there hours before. This story just made me laugh. Every time I think about it, the vision of that poor cat just amuses me to no end. Hope the story leaves a bright spot in your day. Whoever said the Creator doesn't have a sense of humor? That's what he did, all the while checking his progress in the car. He then figured if he went just a little bit farther, the tree would be bent sufficiently for him to reach the kitten. But as he moved the car a little farther forward, the rope broke.